Hardin Bourke Entertainment : ROBERT DELONG LIVE ON LAST CALL WITH CARSON DALY! 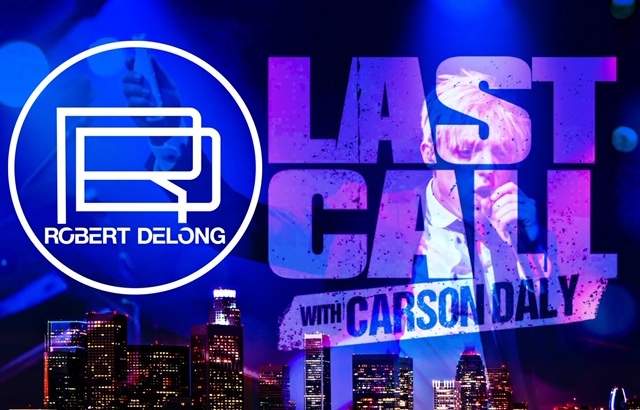 Tune in tonight to watch Robert DeLong on Last Call With Carson Daly! DeLong will be performing "Favorite Color Is Blue (Feat K.Flay)" and "Long Way Down" on Wednesday night's show (3/20) which airs at 1:35am/12:35C (technically 3/21). However, if you miss this, the performances will be up on YouTube, NBC and HULU for 24/48 hours after the show airs.